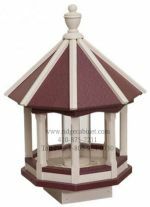 Bird Feeders are available in pressure treated wood or poly lumber. 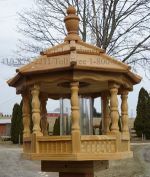 We also have planters and posts for bird feeders. 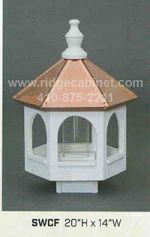 Many styles, shapes, and sizes to choose from. Call or stop by for more information. 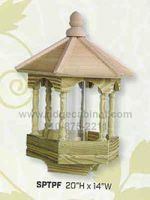 We have a wide selection of wood and vinly bird feeders available in a variety of styles. 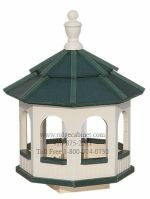 Specialty Bird Feeders: Flower Pot Tree with Bird Feeder Top, Planter and Post Bird Feeders. Please call for other styles available. 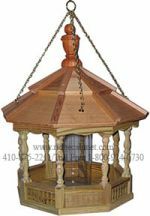 Note: Bird feeders styles, availability, and prices are subject to change without notice. These unique bird feeders are handcrafted. 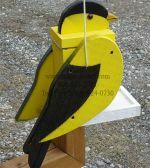 Available styles are Bluebird, Blue Jay, Cardinal, Chickadee, Eagle, Goldfinch, Hummingbird, Oriole, Raven, Robin, Sea Gull and Woodpecker.